Machines are already so integrated into our daily lives that we often pay very little attention to how they work. From automobiles and elevators to home appliances, these machines make everyday life easy. But inside these machines are vital components responsible for their functions. One example of a widely used device is sensors. A sensor is any mechanism that is used to detect a physical parameter and produce an output interpreted by the machine. There are many different types of sensors and various applications that range from simple to complex. Sensors have been used for automation for many decades now. Many industries such as food and beverage manufacturing, mining, wastewater treatment, agricultural production, and many others use different types of sensors for machines and equipment. These sensors make processes safer and more efficient. For example, a linear transducer used in mining equipment provides feedback on the displacement of the object in relation to the starting position. 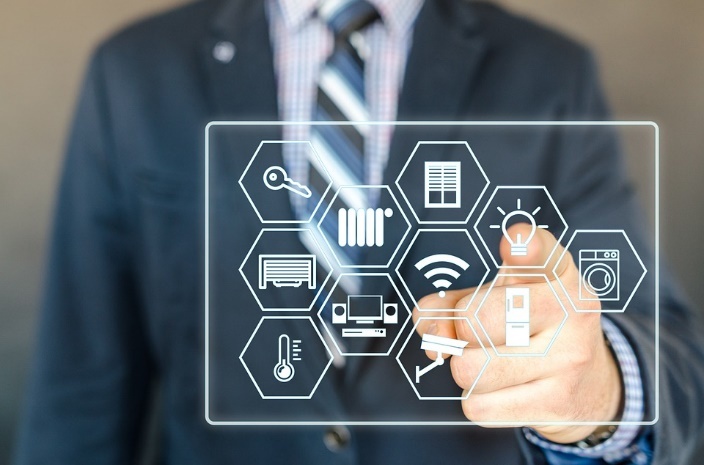 For applications that affect everyday life, there are many smart sensors used in healthcare equipment, home appliances, gadgets, and automobiles. Enhanced automotive safety is possible with the use of cameras, assistance systems, parking sensors, and automatic brake systems. All these came about because of sophisticated sensor technology. The technology for autonomous driving is also now available in some luxury car models. Consumers can now experience first-hand how it feels to have complete automation in transportation. It is likely that this technology will also extend towards larger automobiles such as trucks and buses. Sensors are used in a wide range of devices used in fitness, health, and assisted living. One example is a device used for measuring blood glucose. This type of machine is different from typical methods of measuring blood sugar because it is attached to the patient’s upper arm and discretely scans the blood sugar levels inside the body. It eliminates the stinging sensation of manually drawing blood from the patient, which makes the process extremely convenient for people with diabetes. 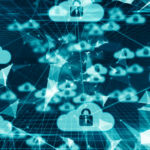 Since the introduction of the Internet of Things, many household devices have undergone an upgrade to connect their functionality to the internet. These smart devices use sensors that collect data and feed the information to the cloud or a different machine. The range of useful applications for sensor-operated smart devices for homes is quite broad. There are burglar alarms and automatic fire detectors that the homeowner can hook up to a mobile app for monitoring. Refrigerators, washing machines, and HVAC systems, and door locks can also be connected to a computer or mobile gadget for convenient access even when you are not home. Modern life has indeed been revolutionised by these tiny devices that are becoming more sophisticated through innovation. There is a lot to look forward to when it comes to the potential applications of sensors in everyday life. Together with the internet, sensors will undoubtedly make the future more interesting. To read more on topics like this, check out the travel tech category. 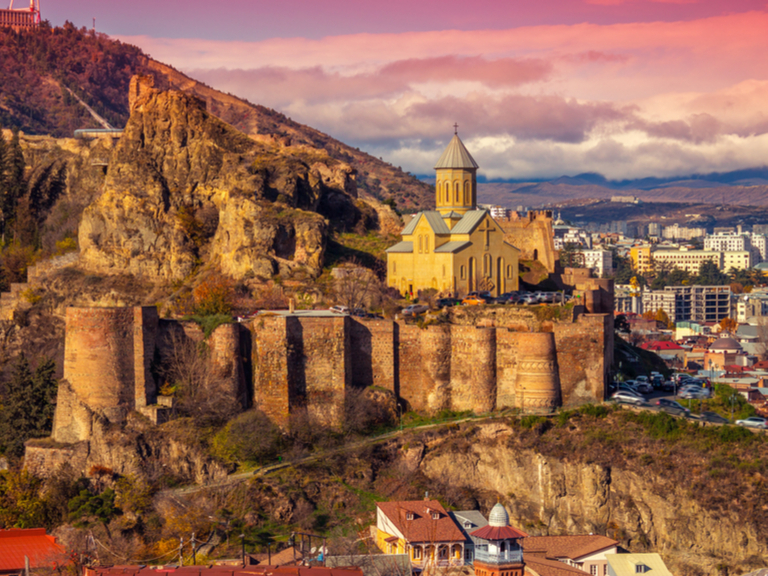 Armenia is the oldest country that has adopted Christianity in this world. The country has a history of 1700 years! And the churches and the ruins tell the story of the ancient time. The ancient monasteries and churches are the epitome of rich history and adventure. This is the historical cave village of Armenia where you can find the natural caves as well as man-made caves. This ancient village tells many things about the past. It has been discovered that the ancient people used ladders and ropes to reach many corners of the community. Presently, the caves are used as the grazing ground of the cattle. Visitors can also explore the cave system, but if you want to have a trip across the gorge, you must have a strong heart. Armenian coffee is different than any other types because it is prepared differently. Usually, here the coffee beans are crushed and then water is mixed. The mixture is brought to boil in a special pot. Once the coffee is brewed, it is ready to drink. There is no sugar and milk in the coffee. You will find a thick residue at the end of your cup once you finish it. Try it once you are in Armenia. You can’t be a true traveler until you try the local cuisine of that place. Don’t forget to try Armenian cuisine once you are here. You should try the local foods, like Lavash (it is kind of a bread, baked in the underground oven), kyufta, morash, etc. in Armenia. Yerevan or the ‘Pink City’ of Armenia is a modern and developed city with museums, architecture, monuments, and cultural centers. As the buildings are mainly built with the volcanic pink rocks, the entire city looks pink from the bird’s eye view. This is a beautiful city where you can spend few days lavishly. Garni Temple will mesmerize you with its beauty and architecture. This is the one and only pagan temple in Armenia as all other temples was destroyed and replaced by churches when Christianity came to this country. If you are a person to explore new things through travel and want to fill your life with amazing experiences, Armenia can amaze you with its history and beauty. Development in technology has seen massive changes in the transportation sector, even on the roads. The so-called smart highways or smart roads have emerged, which refer to the integration of technologies in making the road for enhancing the operation of driverless cars, for generating solar energy, for lighting, and for tracking the state of the road. There has also been an inclusion of technology in vehicles to make them more luxurious, safe, and secure. Vehicles are also being installed with the Internet to enable passengers to continue their tasks, even while traveling, and for other functions, like real-time GPS reports. You cannot go wrong installing Eyenet from EyeRide, because you will have the most reliable Internet on your bus. If you were to be asked to talk about a smart highway, you would most likely talk about how it makes the delivery of goods happen faster, how it enhances safety, and other such things. The reality is that the promises delivered by the smart highway have not yet been fulfilled, but some smart features can be seen in some places. Also, technology has been included in planning major transportation infrastructure. 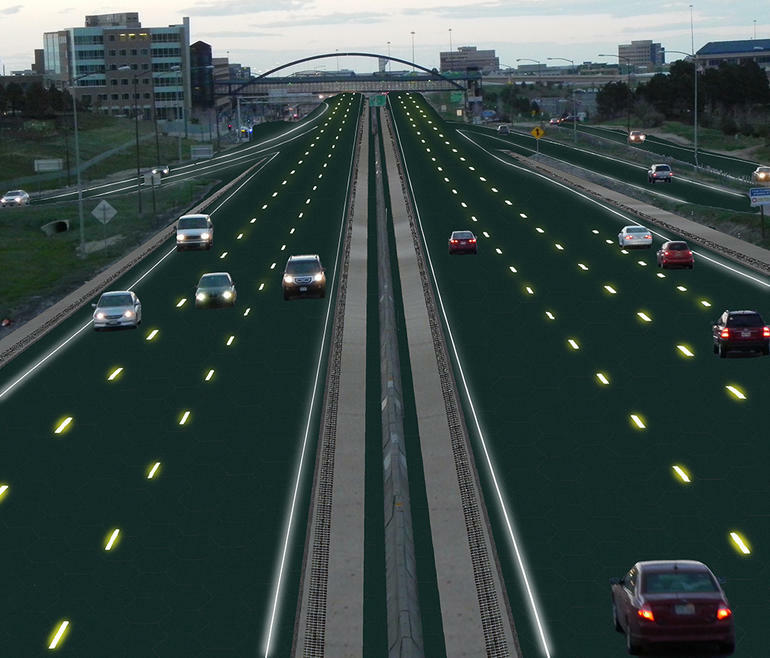 The next level of smart highway seems to be limited only by imagination. Although the transportation engineers think some technical aspects, like bandwidths and network speeds, may influence the features that get included in various places in constructing smart highways, the greatest factor that will affect the building of the smart highway will be funding—or lack thereof. According to an expert in industrial engineering, technology is headed toward transforming ways of living, and smart trucks must work together with smart infrastructure. The expert added that three technologies are going to change trucking: autonomous driving, data connectivity, and electric power. Although the three are being developed independently, their benefits will be seen when they come together to making trucking better, and to benefit society by improving highway safety, minimizing congestion, and improving the quality of life. There have been various forms of smart highways already in existence, for example the one in Los Angeles that has been in place for over 30 years. There are about 7.5 million vehicles that go around Los Angeles, the second largest American city. The vehicles are kept moving safely and without disruption due to the utilization of the city’s modern Automated Traffic Surveillance and Control System (ATCS). Introduced in 1984, ATCS has become one of the most advanced traffic control systems in the US and is supported by several data sources. Besides the sensors that generate data every other second, about 500 cameras have been placed at some critical intersections. Sensors relay data to a central control center. Whenever there are congestions on the road, cameras stationed in the vital intersections find out the cause of the hold-up and trigger corrective action, like adjusting cycle durations for traffic lights. The biggest challenge related to smart highways is the investment in the infrastructure that runs to hundreds of billions of dollars. Another problem is the question of what to do with the data collected by and along smart highways. 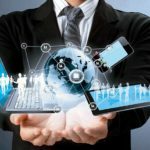 The manner in which the various agencies will utilize the data is something that calls for consensus by the industry and related players. For full realization of the vision of smart highways, government agencies and other players in the industry must collaborate, since there are mega investments that call for concerted efforts. Malacca Town developed over more than five centuries of trading and cultural exchanges between East and West. It is listed under the UNESCO World Heritage, and the historic urban center illustrates centuries of social and trade transactions between East and West. The 15th-century Malay state controlled by the Portuguese and Dutch. The residential and commercial buildings of Malacca reflect the cultural and architectural contributions of the local Malays as well as the immigrants. One must visit the city to understand its historic colonial features and look at the exceptional example of multi-cultural trading towns. Plan your trip and make a booking at a suitable hotel in Malacca for your stay. When it comes to lodging and accommodation, Malacca doesn’t disappoint you as it has an array of options right from the budget holiday to expensive ones. Hatten Hotel Melaka is a popular choice among the holidaymakers because it is close to well-preserved landmarks and the restaurants and cafes. This is a fantastic place for a retreat and boasts of comfortable rooms and professions series. One must visit Malacca to capitalize on its fascinating history. 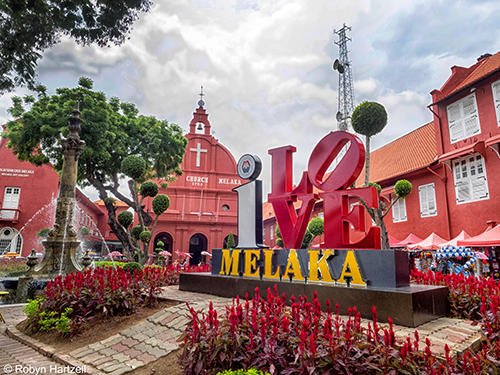 It is no surprise to see the Modern Melaka attracting visitors from all across the world, who come here to see the heritage architecture, enjoy the famously glitzy trishaws and experience the bustling night market. Apart from that, there are forests, farmland, and beaches to explore. Take advantage of those family-friendly attractions in the smaller towns nearby. Explore Zheng He Duo Yun Zuan, the impressive gallery that faces the Melaka River. Exhibitions focus mainly on Chinese arts and culture and are funded by the Shanghai-based auction house. Visit the Masjid Selat Melaka, which looks particularly beautiful during morning or dusk light. Look at the gold-domed mosque perched on an artificial island. A bicycle pedal or a short taxi ride from Melaka City will take you to the mosque that was completed in 2006. You will love the grand archways of the mosque which are paneled with stained glass. St Paul’s Church overlooks central Melaka, and the faded sanctuary was built in 1921 by a Portuguese captain. A marble statue of St Francis Xavier stands in the front of the ruin. The Saint visited the church regularly, and his body was temporarily interred here following his death in China. The church was also used as a lighthouse and a storehouse. Stadthuys is a favorite trishaw pick-up spot in Malacca. The cerise-colored Stadthuys is the oldest Dutch building in the East and was a former town hall and governor’s residence. Today it’s a museum complex and showcases colorful artifacts and the history of Malacca. It is a must to visit the Maritime Museum & Naval Museum that will take you on a voyage through Melaka’s maritime history. The most exciting part of the museum is the massive re-creation of a Portuguese ship, the Flor de la Mar that sank off the coast of Melaka. You can pose on the deck of the ship and clamber between floors. Bukit China is another favorite tourist spot and includes thousands of graves over it’s the 25 grassy hectares. When Sultan of Melaka married the Ming emperor’s daughter from China during the 15th century, she brought with her 500 handmaidens. Those handmaidens settled around Bukit China and had created a Chinese area in Malacca ever since. Villa Sentosa is another historic building in Melaka City. The village of Kampung Morten here is like a living museum. The charming Malay village welcomes its visitors and guests who take a look at the period objects, photographs of family members, Ming dynasty ceramics and even a century-old Quran. Whether you’ve been lured by the majesty of Zion National Park or you simply know of all the natural beauty that Utah has to offer, you’re certainly not alone. Regularly bringing in record numbers of tourists and representing a gem for nature lovers, there are plenty reasons why Utah is considered a must-see for vacationers. 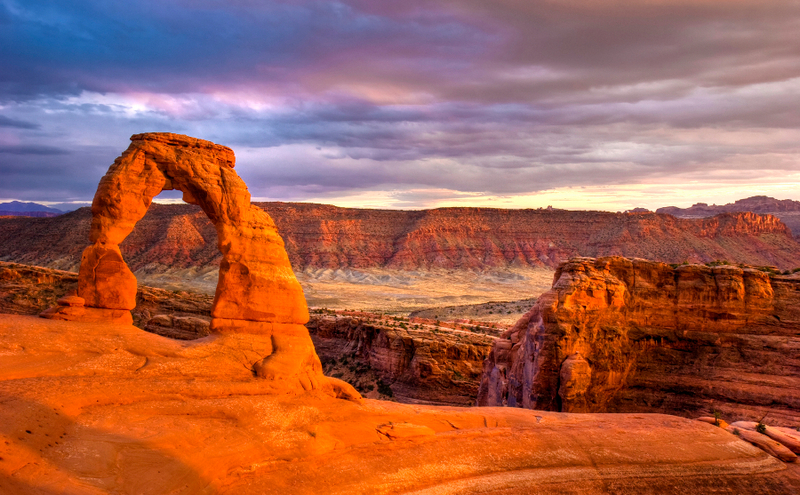 Of course, there’s no denying that Utah is somewhat off the beat-and-path for many travelers. As a result, making your Utah trip a reality requires some keen planning, but you can most definitely make it happen without blowing out your budget. In fact, we’re going to break down five tips to help you do exactly that. Pricing out flights to Utah can be a bit discouraging for some, which is what makes Utah such an enticing road trip destination. Think about it: with nearby attractions and other great American sightseeing opportunities in the likes of Nevada and California, the drive is well worth it for those willing to make the trek. Besides, there are endless opportunities to get out and marvel at the natural world that a plane trip just won’t do justice. Speaking of nature, the number of national parks and campgrounds throughout the state speaks for itself. In terms of accommodations, Utah is ideal for campers and RVers of all walks of life given the variety of spots you can set up camp. And for those looking to get the best both worlds with a comfortable RV that you can roll out during the course of your trip, make sure to check out services such as Outdoorsy to find an affordable rental. Double-dipping via RVing is flat out convenient and arguably offers the best way to see the state without paying out for a hotel. Of course you need to take into consideration your roadmap and crowd sizes, but make sure you prioritize at least one of these regardless of how long you decide to stay (and ideally you can check them all out)! Endless things to do and no shortage of things to see, these natural beauties can keep your whole family entertained on a budget. Seeing Utah right means taking the proper steps to plan and prepare. By sticking to these tips, you can explore the essential sights and attractions of the state without spending an arm and a leg. If you’re fortunate enough to be planning an adventurous trip to stunning Costa Rica and plan on spending most of your days relaxing and exploring picturesque beaches, there is a lot to choose from. You can stay in Costa Rica beach home rentals and be by the aqua blue water everyday of your vacation! 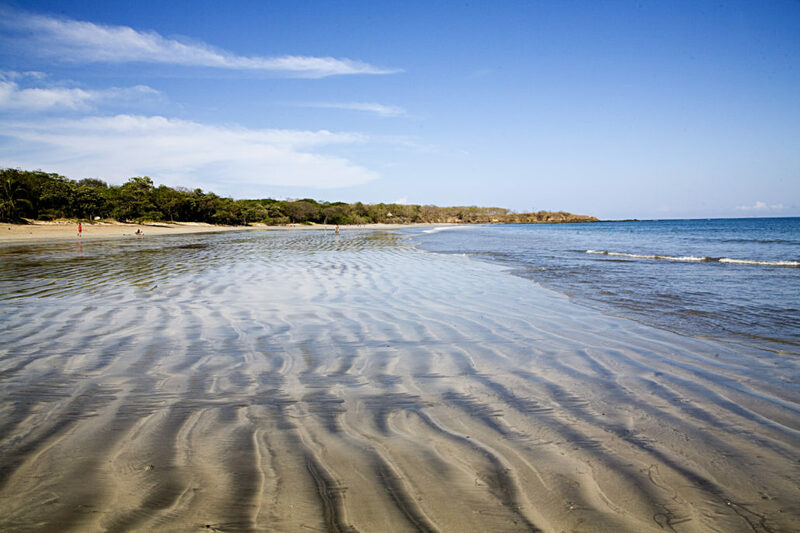 Continue reading to discover 9 of the best beaches in Costa Rica. All of which deserve a place on your travel itinerary. 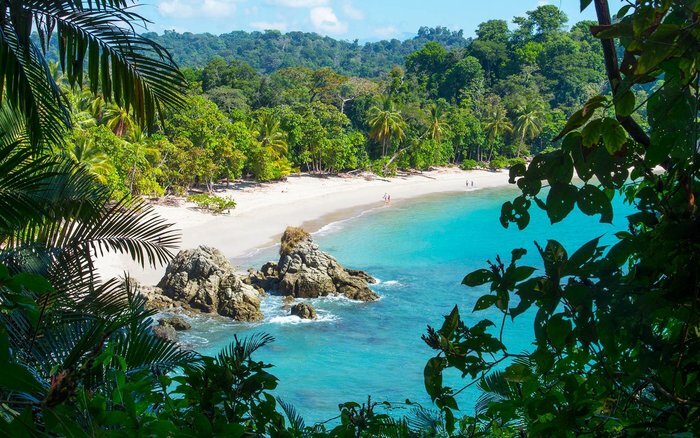 Manuel Antonio Beach is nestled beside the stunningly beautiful Manuel Antonio National Park and is well worth visiting if you like the sound of spending the day swimming and sunbathing at a picture perfect, white sand beach. As Manuel Antonio Beach is surrounded by a national park, don’t be surprised if you spot a sloth, a howler monkey or a green iguana, hanging out at the beach. Although Manuel Antonio Beach is highly related and attracts plenty of visitors it’s never too crowded as it is a 30-minute walk from the nearest car park. However, on your rainforest walk to the beach, you’re sure to catch a glimpse of a monkey too. Lastly, as Manuel Antonio Beach also boasts plenty of coral, it’s well worth packing a snorkel set. Flamingo Beach’s quirky name was inspired by its unique pink-tinged sand. So if you’ve always dreamt of visiting a pink sand beach, it’s definitely well worth including Flamingo Beach on your trip itinerary. If you’re interested in taking a gorgeous photo of Flamingo Beach, simply drive to the top of the sea cliffs which overlook it, in order to take the perfect panoramic picture. At the top of these sea cliffs, you’ll also find a variety of luxury hotels, where you’ll be able to enjoy a gourmet lunch with a view. If you’re looking to visit a beach which boasts a wide array of activities, you’re bound to fall in love with Flamingo Beach as you’ll be able to book scuba diving trips and sailing trips. While Tamarindo Bay may not boast powder soft white sand or unique pink-hued sand, Tamarindo Bay is still well worth visiting as it’s one of the top rated surf beaches in Costa Rica. If you’re an animal lover, it’s also well worth adding Tamarindo Bay to your Costa Rica travel itinerary as it’s home to huge leatherback turtles, which choose to bask on the bay’s warm sand. If you stop by, make sure to pick up a cheap beach ball as the bay boasts multiple beach volleyball courts, where you can challenge other tourists or locals to a friendly game. Samara Bay should be the first beach on your itinerary if you’re an avid snorkeller as it boasts a sizeable reef which attracts tropical fish as well as stingrays. If you tire of swimming, you’re in luck as Samara Bay boasts numerous businesses which hire kayaks out for the day. So if you’re keen on exploring the bay by kayak, you’re in luck. As Samara Bay is a popular destination for both locals and tourists, you also won’t have any trouble finding a beachside bar, where you can make new friends and swap your favorite travel stories. If you’re interested in wandering off the beaten tourist track in order to find your own little slice of paradise, it’s well worth visiting Playa Santa Teresa, which is surrounded by a lush tropical jungle! Playa Santa Teresa offers white, powder soft sand and backs on to the Pacific Ocean. If you’re an avid surfer, you’re in luck as Playa Santa Teresa boasts numerous surf spots. Examples of which include La Lora and Surf Rock. Playa Hermosa is one of the top-ranked surf beaches in the country and often holds international surf competitions, which attract some of the world’s most talented professional surfers. However, you don’t have to be a professional surfer in order to enjoy Playa Hermosa’s activities. Examples of which include jet-sking, windsurfing, sailboarding, and kayaking. Playa Hermosa is definitely an adventure seekers playground. The first thing that you’ll notice when you arrive at Jaco Beach is the massive palm trees which line the beach. While Jaco Beach is a popular destination for surfers as the waves are manageable, Jaco Beach is also a popular spot for recreational swimmers. After a day spent surfing, swimming and sunbathing it’s well worth strolling into one of Jaco Beach’s seaside restaurants. Many of which offer fresh, mouth-watering seafood dishes at unbeatable prices. If you’re keen Tsunami Restaurant, offers some of the highest rated sushi in Costa Rica. Nosara Beach boasts 7km of pristine white sand and features a variety of handy tide pools, which are ideal for snorkeling. If you’ve never surfed in your life and are keen to tick your very first surf lesson off your bucket list, you’re in luck as Nosara Beach boasts small waves which are well suited to first-timers and is home to several stores which hire out surf gear such as wetsuits and high-quality surf boards. If you’re not at all interested in surfing and are looking for a safe, calm beach which offers flat water, to swim in, head to Playa Biesanz. Playa Biesanz is an underrated beach which is tucked in behind a small cove near Quepos Point and offers an intimate, small beach, where you’re unlikely to come across another soul. So if packed beaches aren’t your scene it’s well worth adding Playa Biesanz to your travel itinerary! Playa Biesanz is also the perfect beach for families due to it’s flat, lake like water, which makes a safe playground for children of all ages will enjoy exploring. Just remember to pack a snorkel set or two and a picnic lunch for your family to enjoy. So if you’re headed to beautiful Costa Rica in the near future and are still finalizing the details of your travel schedule, it’s well worth including all of the lovely beaches listed above on your travel itinerary. 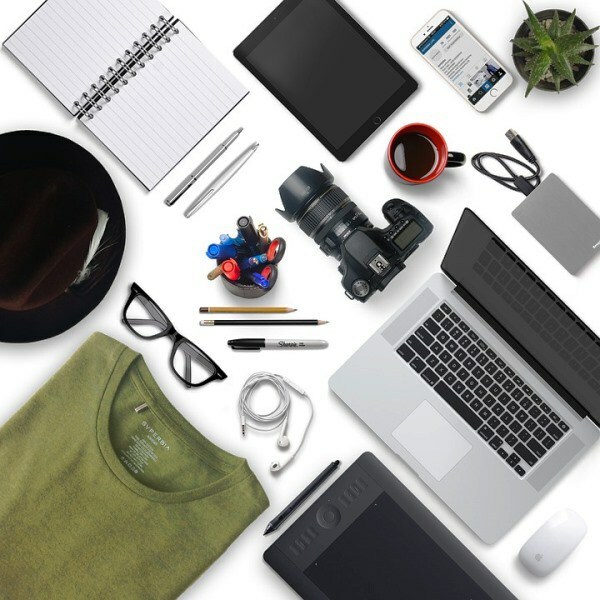 And don’t forget to bring a book, hammock or check out the top travel gadgets that can help you tour around and relax on your vacation. And after all, how are you supposed to pick a favorite, if you don’t visit each of the 9 stunning beaches featured above.